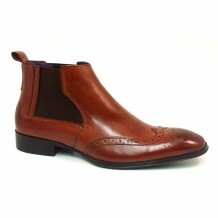 Such a wonderful colour, this burnished russet red brogue boot is sublime. 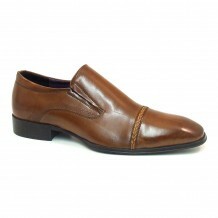 Traditional broguing and a dark brown side gusset gives character. A great alternative to traditional colours, it will lift your outfit to give interest and colour in a warm way. Bored of black and brown boots guys? 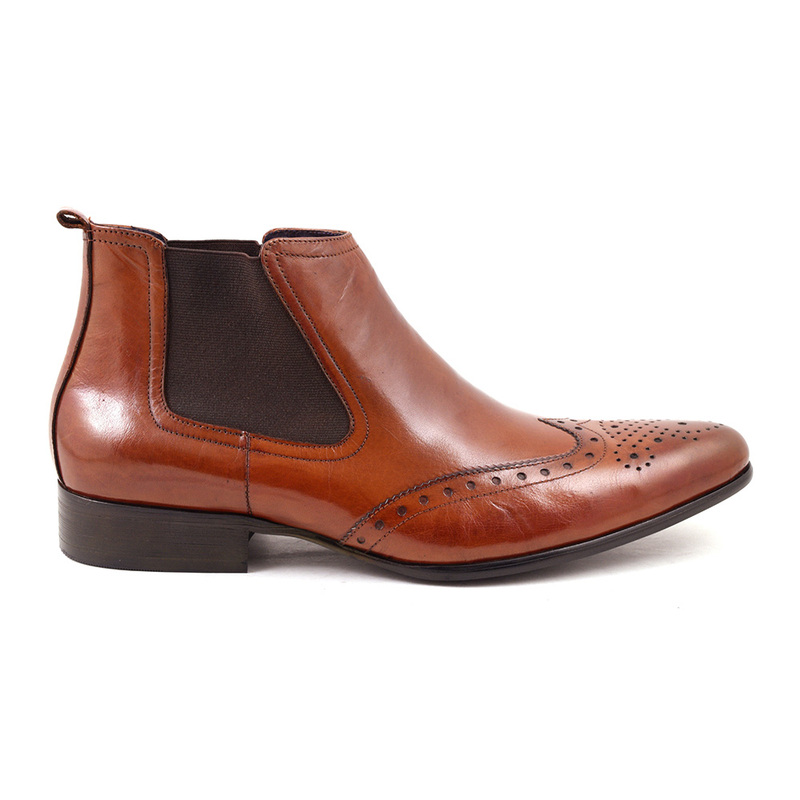 Here is your answer: a russet red brogue chelsea boot to add a little spice to your wardrobe. 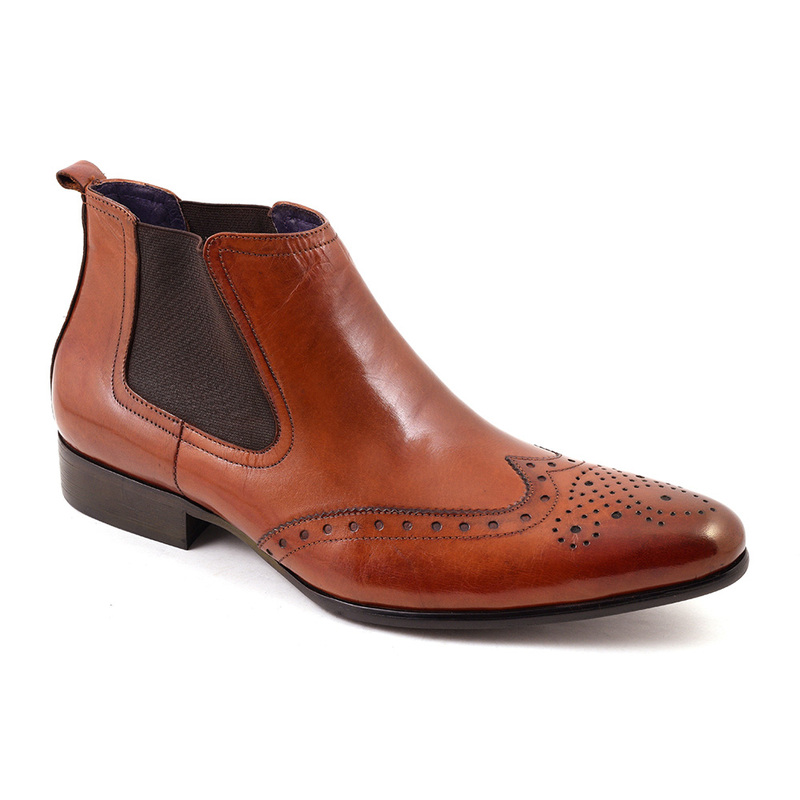 This mens boot has all the hallmarks of a chelsea with the elastic side gusset, the low heel and ankle length as well as the tab at the back. Who would have thought that Queen Victoria wore this style of footwear daily once her boot maker designed them. His purpose was to create a boot that was easy to get on and off. He was aided by the invention of rubberised elastic and patented this style with these words: “She [Queen Victoria] walks in them daily and thus gives the strongest proof of the value she attaches to the invention”. Oh la la. Over time this walking boot became worn by men and women alike. Although they had a lull in the second world war era, the swinging 60s brought them back in vogue. Socialist, artists and other creatives wore these around Chelsea and hence the name. Brog is a gaelic word and refers to a shoe and also a gaelic accent. In the same region, the fact perforations were made in shoes explains ornamental broguing today, only in those days it was an essential part of draining water form the shoes of people on the wet land. So we come the brogue part of this mens chelsea boot. As there is simply a wing tip and medallion, one could easily wear this shoe with jeans. 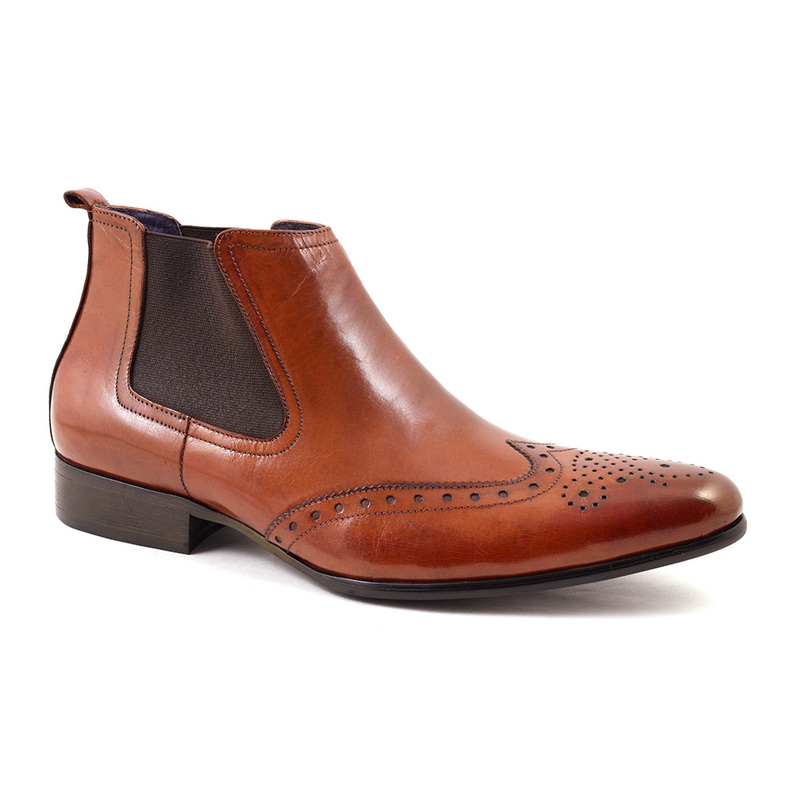 Country folk wore brogues more so they are considered slightly less formal than plain chelsea boots but these days, you could wear these in a formal setting. As they have a slightly pointed toe, they have a contemporary rock and roll feel. The lush colour is one to determine what you wear with them so stick with something simple and experiment with your style. Men should do much more of that we say! 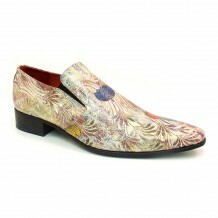 We think they would look perfect with indigo jeans and a cashmere coat or with ripped up denim and a leather jacket. Why not try a tailored suit for a modish look. Be the first to review “Edris Red Brogue Chelsea” Click here to cancel reply.